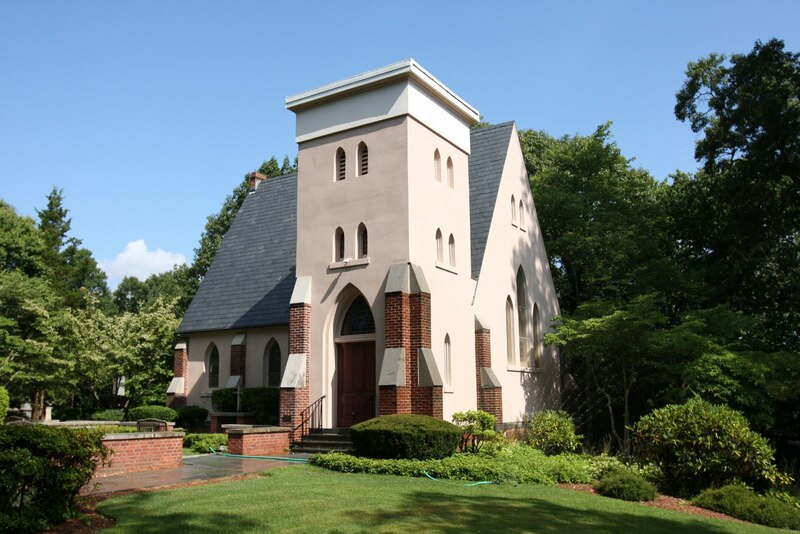 The memorial cemetery of St. John's Church of Cold Spring Harbor located off of Northern Blvd. in Laurel Hollow. Many notable Old Long Island residents are interred here but the cemetery itself has very few graves. 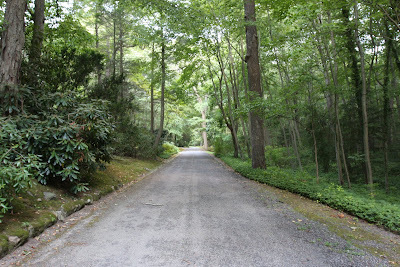 Those who are buried here are spread out over quite a large parcel of property and are surrounded by hundreds of mature rhododendrons. Below are some pictures of the grounds of the cemetery, click HERE to see some of the cemetery's notable residents. 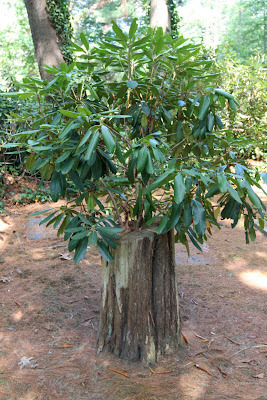 A rhody that grafted itself to a tree stump. It must be something to see in the spring when the rhododendrons are in full bloom. I always thought St. John's was more lovely in its "rurality" than our family plots in Green-Wood. All in all, though, Cold Spring Harbor is quite a nice place to spend eternity. Security word: ingin – 1) what one likes to be on a hot day; 2) a vulgar colloquialism for the former residents of the area; 3) the most popular current brand of juniper berry liquor. Synonym for internal combustion machine. 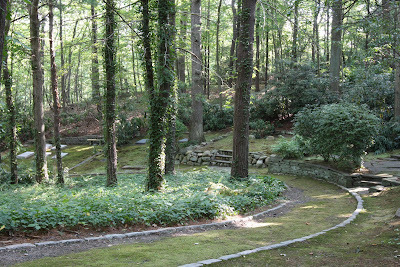 This landscape explains why Tiffany called his home, "Laurelton Hall". Zach, maybe L.C.T interred there ?? Great photo's. 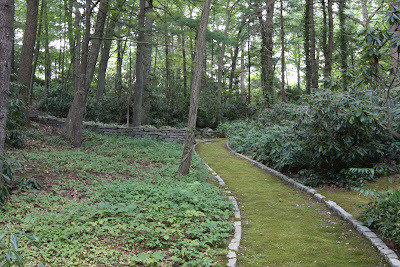 Flag stone,Belgium Block, laurels, Rhododendron, Pachysandra, Oak's and Honey Locust's (stump), so very North Shore..Martha Stewart would die from/for those peat covered path's. Question..is it, 'to die from' or 'to die for' ? my bet is the former..it is a Lawng-Islin expression, after all. On second thought, I think that stump is probably Cedar. All the family tombs at Green-Wood were permanently sealed about the time McKinley was shot. Decades ago, we once had a picnic at the angle at Gettysburg. (We had no idea that it was forbidden.) As we pulled this or that out of the wicker hamper, we tried to put a specific spot on where this or that ancestor had died. Ultimately, there will be another Ice Age, and the glaciers will wipe clean every thing in their path. I suppose I don't care all that much about leaving a headstone. not that i plan to die but what a place to get planted. a great tribute to the estates - just beautiful. at least they'll keep this garden up. Louis Comfort Tiffany is buried in Greenwood Cemetery in Brooklyn. I will do my best to get a photo. In the Hamptons, many of the old New York Social families are buried in the Southampton Cemetery as you drive into Southampton, just before Burger King, so sad to have to mention that as a Landmark. 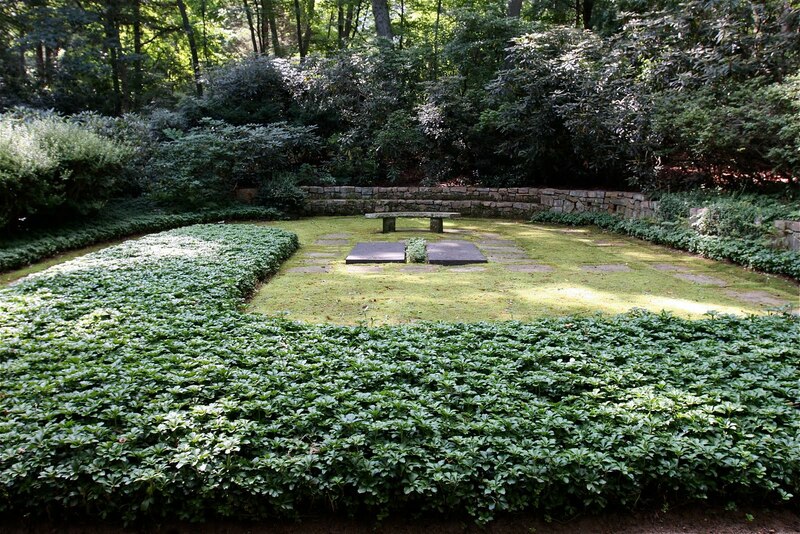 Most have flat headstones in the ground, but just like their Summer homes, the plots are surrounded by well tended privet hedges. Once behind the hedges, always behind the hedges! Those are nice photos of Mom's spot. 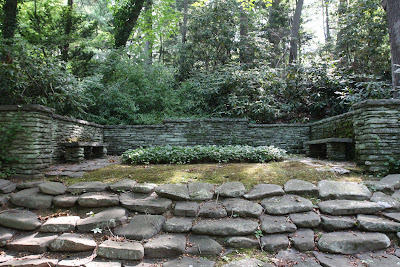 The cement bench was moved there from our CSH house and is a very mellow place to sit and ponder. 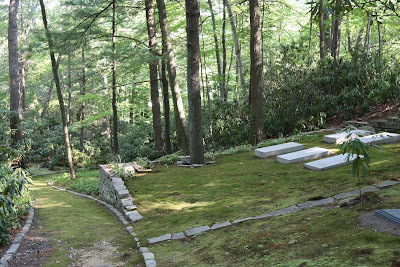 The mostly low horizontal headstones, or "body stones", least perturb the rolling natural beauty of these wooded grounds. Reminds me of Westerport cemetery Copenhagen.